First of all... How cute is the design?! 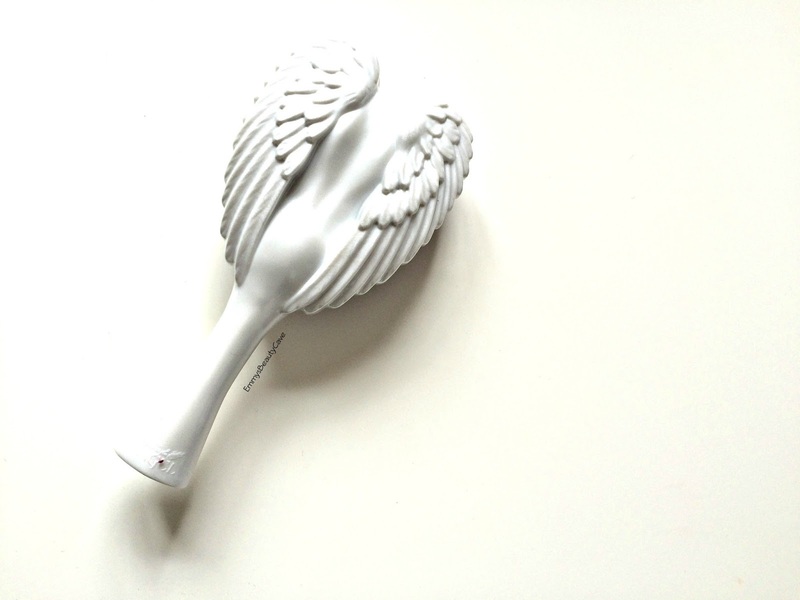 The wing design is so pretty and completely different to any hair brush out there. The Tangle Angel comes in five different styles including Original, Tangle Cherub, Tangle Angel Xtreme, Tangle Angel Classic and Tangle Angel Baby. But that isn't it, Tangle Angel also do a range for dogs!! Yes your dog can have it's own cute hair brush! I have the Tangle Angel in Wow White which is from the original range. 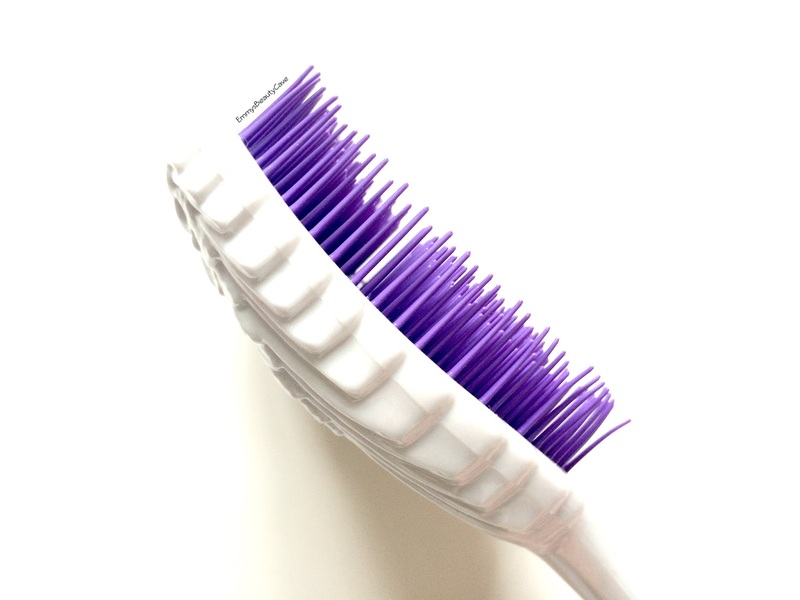 It has this pearlized white finish with bright purple bristles. The brush has five features which make it unique to other brands and designs. Antibacterial - It has antibacterial additives embedded into the plastic which makes your brush hygienic. Anti Static - It is specifically designed to keep your hair smooth and stops you looking like you have rubbed your head against a balloon! Heat Resistant - The bristles will stay in shape even with the heat of the hair dryer and straighteners. Water Resistant - Due to the plastic design you can take this baby into the shower with you or on holiday once you have been in the pool. Ergonomic Shape - The shape of the brush and handle makes it easy to use. My hair is the thickest of them all, when I go to the hairdressers it takes two hairdressers to blow dry my hair. Hair bobbles and clips break on a daily basis so trying to control this fur ball can be a nightmare. 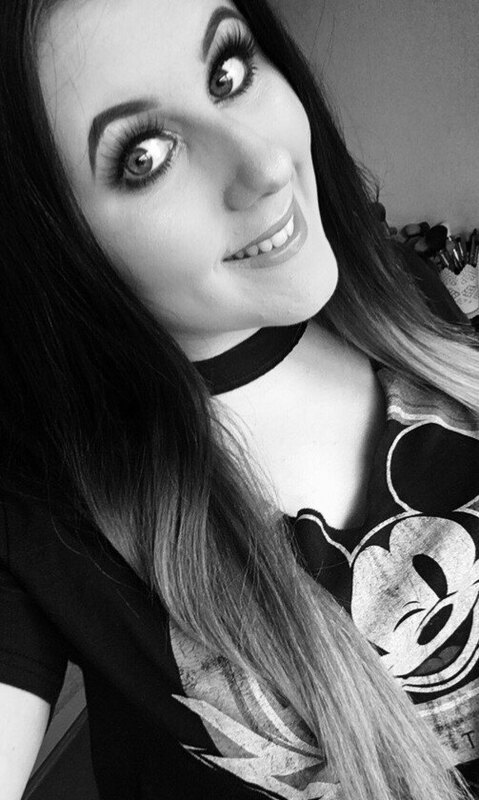 As soon as I used this brush I noticed how it glided through my hair and didn't pull once! I then tried it with wet hair as usually my hair is knotty and pulls to the point of hurting but again there was no pulling. 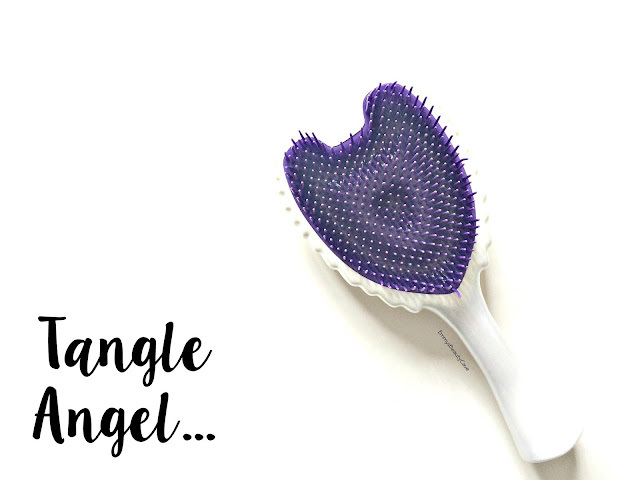 When I straighten my hair and brush it, it can become frizzy and static but when I use the Tangle Angel it kept it straight and smooth. I also found compared to most brushes I could easily remove my hair out of the brush. Because the base is plastic unlike most brushes your hair will pull out of it quickly and you can wash the brush easily too. 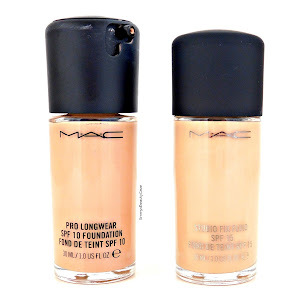 One of the main factors I love is how lightweight this is, I have a large paddle brush which is quite heavy but this little beauty is so lightweight! I will be taking it to New York with me! Overall I can 100% say this brush is worth it's money! It retails for £14.95 which may sound a little pricey but for a good paddle brush you are paying between £10-£15. You can check out all the ranges on Tangle Angel Website. Why not treat yourself and your pooch!